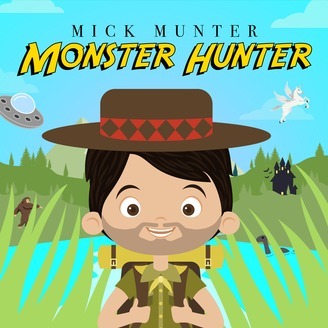 Every month, Mick Munter explores the untamed wilderness looking for monsta's! From the Devil Dragons of his native Australia to the creeping cryptids of North America, Mick searches out the strangest creatures, the most mighty bities, the superest supernaturals, and he brings you all along for the ride. Some people think he's mad as a cut snake, but we all know that magic is out there in the wilds, just waiting for an adventurous kiddo to track it down.You may also know Mick as the wonder from down under, the saucy aussie, the first-rate mate, the picky-creek sticky-beak, the true-blue buckaroo, the bulk bogan hulk-hogan, the no-joke bloke, the combat wombat, and your guide to the great unknown! 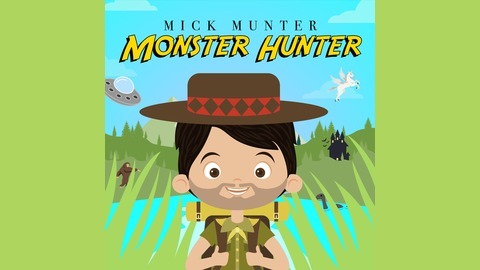 Mick Munter Monster Hunter -- Coming Friday!